Siri wakes to find herself trapped inside a brutalist candy-coloured dreamhouse. Despite the cutesy décor, the place is far from benign, and she and her fellow inmates are encouraged to compete for survival. Forced to go head-to-head in a series of demeaning tasks, Siri and Alexa start subverting the rules, soon revealing the sinister truth that underpins their world. Make Me Up takes a satirical look at the contradictory pressures faced by woman today. It examines how television and social media can help us explore identity, at the same time encouraging women to conform to strict beauty ideals. 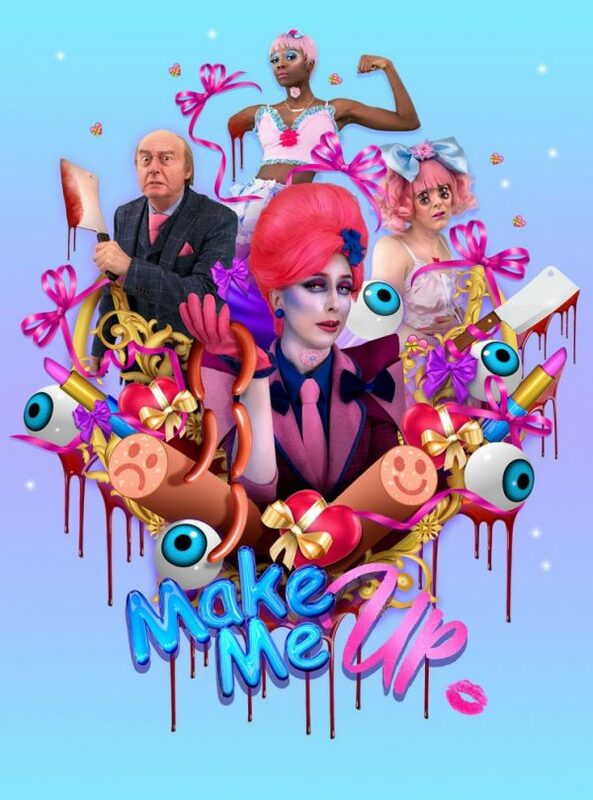 In Make Me Up, multimedia artist Rachel Maclean has created a world that is both seductive and dangerous; a place where surveillance, violence and submission are a normalised part of daily life.